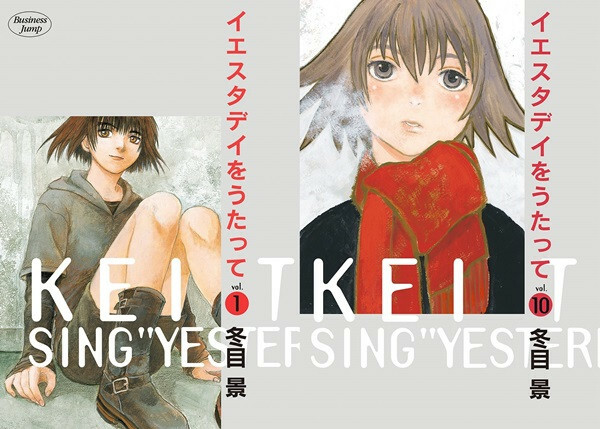 The 10th issue of Shueisha's biweekly manga magazine Grand Jump, which is published today, announced that Kei Toume's Yesterday wo Utatte (Sing "Yesterday" for Me) will end its 18-year serialization in its 13th issue to be published on June 3. The manga first started in the publisher's Business Jump in 1997. 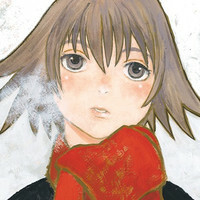 After it stopped its publication in October 2011, the manga moved to the newly-launched Grand Jump in the following month. So far 10 tankobon volumes are available in Japan. The protagonist is a so-called "freeter" Rikuo Uozume, who doesn't/can't find a regular job after graduating from his university and works as a part-time worker at a convenience store. The story follows a love triangle among him and two heroines, Haru and Shinako. It is set in the same world with the author's other popular work Hitsuji no Uta.